It seems Americans are exercising their freedom by watching The Simpsons rather than by reading the Constitution. This is distressing to the high-minded folks who run the McCormick Tribune Freedom Museum, soon to open in Chicago. They commissioned a survey whose rather transparent intent was to demonstrate the need for (you guessed it) a Freedom Museum. (Click on "Press Releases" to see the official release.) 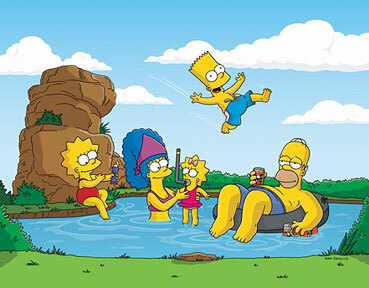 In the poll, 22 percent of adults were able to name all five members of the Simpson family. But just 28 percent were able to name more than one of the five freedoms listed in the First Amendment. A majority came up with freedom of speech (69 percent), but freedom of religion (24 percent), press (11 percent) and assembly (10 percent) had far less share of mind. And scarcely anyone (1 percent) knew that freedom “to petition the government for a redress of grievances” is in the First Amendment. Actually, one suspects the respondents were having some fun with the pollsters, as 21 percent said the First Amendment guarantees the right to own pets and 17 percent that it includes the freedom to drive a car. Instead of wringing their hands about public ignorance, the people who run the museum might be be pleased that Americans take a broadly cultural (rather than narrowly legalistic) view of their First Amendment freedoms.